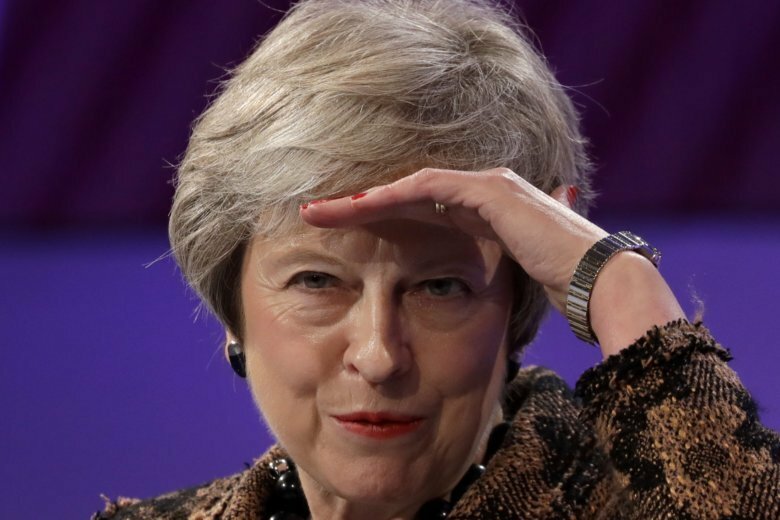 LONDON (AP) — British Prime Minister Theresa May got a reprieve in one of her Brexit battles Tuesday as party rebels said they did not yet have the strength for a leadership challenge. But she faced a new headache as parliamentary allies warned they could remove support from May’s minority government if she does not alter her divorce deal with the European Union. Northern Ireland’s Democratic Unionist Party struck a deal last year for its 10 lawmakers to back May’s Conservatives on major legislation. But the Protestant, pro-U.K. party opposes the Brexit deal’s plans for keeping the border between Northern Ireland and EU member Ireland open after Brexit, saying it weakens the ties binding the U.K. by creating separate trade rules for Northern Ireland. In better news for the beleaguered British leader, a leading pro-Brexit lawmaker acknowledged that the rebels haven’t mustered the numbers for a leadership challenge. Jacob Rees-Mogg is one of a group of Conservative legislators who have written letters calling for a no-confidence vote in the prime minister. They say the draft divorce deal would leave Britain tied to the bloc’s rules without any say in making them. The group had previously said it was confident of getting the 48 letters — 15 percent of Conservative lawmakers — needed to spark a leadership challenge. May’s office said she would meet European Commission President Jean-Claude Juncker in Brussels on Wednesday as part of work to finalize the declaration. Spanish Prime Minister Pedro Sanchez said Tuesday that his country would vote against the divorce agreement if Gibraltar’s future isn’t considered a bilateral issue between Madrid and London. Many U.K. businesses say they would be hurt by a “no-deal” Brexit and have welcomed the agreement. It gives companies a measure of certainty by confirming that relations between Britain and the EU will remain unchanged during a transition period until the end of 2020, and possibly beyond.